How to Shape up the Future of Trucking? 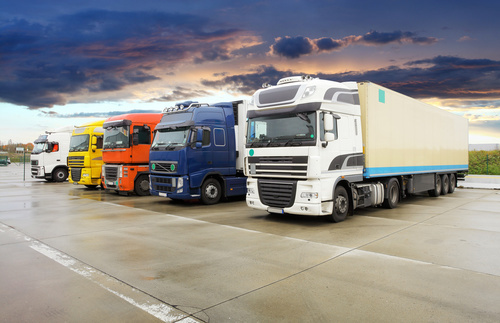 Although the transportation industry has evolved, trucks continue to play a major role in carrying and delivering freight from one point to another. That said, the emphasis has always been on taking the pressure off the trucks, in order to conserve fuel, maximize overall capacity and even reduce the underlining costs. Even then, the trends have largely been in favor of truckload transportation with these vehicles accounting for almost 81 percent of the entire expenditure module. With truckload transportation and trucking continuing to rule the roost, we actually need to look at what future holds for this industry, regardless of the booming changes. 2018 is already upon us and it’s time we embrace the new changes which are expected to stay with us for the next few years. Until the trucks start plying by themselves, we would be requiring drivers. However, quite recently the transportation industry has started seeing a dearth of efficient drivers which in turn is raising some important questions. The future of truckload transportation will see the companies’ focus more on exceptional driving skills, especially for the long-hauls. Needless to say, truck drivers will be the limiting factors in the long term and the lack of skills might minimize the overall growth of trucking capacity. Moreover, once the driver conundrum is taken care of, it would be easier for the companies to increase the freight volume at a steady pace. In the next few years, industries will witness a massive growth in the adoption of dedicated trucking services. This would involve acceptance towards a host of macro factors including the likes of capacity tightening and dedicated operations. Moreover, this approach will guarantee that customers get the exact product they have signed up for. The companies are eventually realizing the fact that customers are always on the lookout for cost-effective deliveries and that too within a reasonable period of time. Over a period of time, truckload transportation will start concentrating on the same by securing prices and the underlining capacities. Shipping containers which are half-full can lead to higher transportation costs; thereby accentuating worries for the concerned businesses. The future of truckload transportation will make sure that containers are shipped at full capacity by using sophisticated methodologies, higher load efficiencies and cross-docking techniques. Some of the other intuitive strategies include minimizing certain one-way routes and even deploying experienced third-party logistics. Although businesses are already concentrating on technology, it is only a matter of time that supply chains and logistics managers make it their first line of defense. Be it gauging the uncertainties of economy and workforce, technology-driven ideologies and concepts are expected to last way more than the usual ones. Moreover, truckload transportation will see continued adoption of different supply chain technologies, inventory management approaches, consolidated route tracking systems and driver tracking options courtesy the growth of technology. Each one of these techniques can help improve driver safety, performance and even fuel efficiency. Truckload transportation is expected to thrive only if the companies start shifting excess baggage to trusted 3PL services. That said, outsourcing certain tasks can easily increase the overall efficiency as businesses can then concentrate more on productivity and accountability. In addition to that, partnering with certain functional 3PL companies allows businesses to express themselves in a much better way as the former eliminates additional costs and also helps deliver the goods in an efficient manner. Moreover, the 3PL service providers render additional levels of safety to the fleets and concerned commodities. The future of truckload transportation will be dictated by how well the organizations make use of the resources in hand. While keeping up with the industrial requirements is a prerequisite, it automatically boils down to how companies express themselves in terms of logistics and fulfillment. At the end, it’s all about delivering the products efficiently to the customers while minimizing overhead costs, associated intricacies and product damages. Needless to say, the quality of drivers and fleet with determine the fate of trucking and truckload transportation and 3PL services will surely play an important role in shaping up the same. Be it outsourcing select services pertaining to transportation or adopting the best technologies for the job, future of trucking will thrive on a proactive approach. Many companies are still not comfortable with the idea of outsourcing their logistics operations as they are still unsure of what exactly does a Third-Party Logistics (3PL) mean and what value do they provide. In all fairness, the 3PL companies don’t make it any easier either. There are so many 3PL providers with so much breadth and variety of service, that a new client is often confused on how to categorize and compare these various players. Let us try and understand what is a 3PL player and what kinds of 3PL players are there in the market. Who is a Third-Party Logistics Provider? There is no one definition of third party logistics or 3PL as it is more colloquially called, that is applicable all around. Let’s take a quick look to understand the evolution of 3PL, so that one can understand from the context. Earlier, in around 70’s there were only trucking companies. The shipper provided and loaded the final packaged material to the transporter, who then transported to the destination. Then came the IMCs. These Intermodal Marketing Companies, plugged between the shipper and the carrier. They accepted the package from the shipper and managed all the retail transportation engagement. Going forward these companies started offering other value added services such as warehouse storage, Packaging, financial needs and other services. The key to understand there is that these companies only provide services to the shipper and value for shipping company in terms of handling their logistics requirement, at any point, in their supply chain. Today the council of supply chain management professionals defines 3PL as outsourcing all or much of a company’s logistics operations to a specialized company. A Federal legislation passed in 2008 legally defines a 3PL as “a person who solely receives, holds, or otherwise transports a consumer product in the ordinary course of business but who does not take title to the product.” Thus, we can assume that any company that provides a logistics service in any supply chain, can be called a 3PL company. A transporter, a warehouse space provider, a special storage provider, a packaging service provider, a booking, tracking, auditing based or financial based service provider, or information service provider for these services, or provider of any combination of these services can be termed as a third-party logistics service provider or 3PL provider. Now that we understand what is a 3PL provider is, let’s look at various kinds of 3PL providers. Transportation based: Here the primary service offered is transportation. Trucking in various segments, from wholesale to retail to individual deliveries. 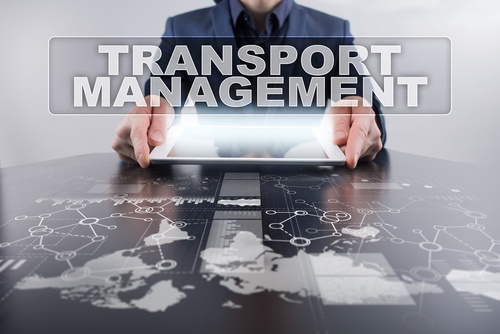 They own the physical transportation machines, specialized transportation vehicles (cold storage trucks) and networks and system specialized for fleet utilization and route optimization. Their aim is to optimize the transportation cost (as opposed to other kinds of costs in logistics). They usually club various shipments based on transportation cost optimization. While these companies may offer other services such as warehouse, they are typically in association with a partner who provides those services. Warehouse Based: These companies own the storage space at the distribution points. They specialize in warehouse operations. They make significant investments in warehouse space, warehouse technologies (cranes, lifts), automation to quickly move the products inside warehouse, specialized warehouse needs such as cold storage and hazardous chemicals etc. They have their operations specialized for optimum use of space and their systems optimized for movement of inventory such as FIFO, maintaining minimum and maximum levels of inventory, close monitoring of expiry sensitive inventory such as food products. Apart from inside warehouse operation, they also specialize in locations of warehouse, at critical nodal points such as important ports, or close to big markets. Large players usually operate multiple warehouses spread geographically at important points, having these warehouses interconnected with dedicated transportation. The warehouse based providers usually tie-up with Transporters to provide the last mile delivery to the customer. They will usually have tie ups with various transporters to cater to different needs of the customers. Freight Forwarder: These companies do not own any physical asset. They tie up with various other logistics service providers, manage the relationships and operation between them, for their clients and give their clients an end to end logistics service. To elaborate a little more Freight forwarders, specialize in arranging the storage and shipping of merchandize on behalf of the shippers. They usually provide a full range of service such as inward transportation tracking, documentation preparation, warehousing, cargo space booking, freight charges negotiations, insurance and claiming insurance claims. Freight forwarders are especially useful if you are planning to operate in international markets. i.e. Your business involves import and export of material or finished products. While many companies provide these individual services, quite a few also provide various combinations or all of these services. It is up to the client to decide, which one is best suitable for his business requirements. Clients also need to keep in mind the that players not only differ in the kind of service, but level of partnership the 3PL firms provide. This depends on the nature of engagement that exists between the business and it’s 3PL provider. These relationships are on per transaction basis. This is kind of Postal service. You pay for each transaction and that’s it. These relationships are based on long term contracts. The rates are negotiated for bulk volumes and systems are integrated for easy flow of information between the two entities. These are more like partnerships. The 3PL will make investments in their business and you will be committed to them. Both, the client and the 3PL grow together. Businesses outsourcing for the first time, may and usually do start from the transactional model. As they gain experience and the volumes of shipments grows, they move to more mature models of engagement, forging partnerships with their suppliers. Outsourcing to a 3PL player may seem confusing at the beginning. There are a lot of players with different value propositions and you will need to invest time to choose the one that is right for you. However, once you have the right partner, you do not have to worry about logistics and focus all your energies into your core business practices that result in growth of your business.